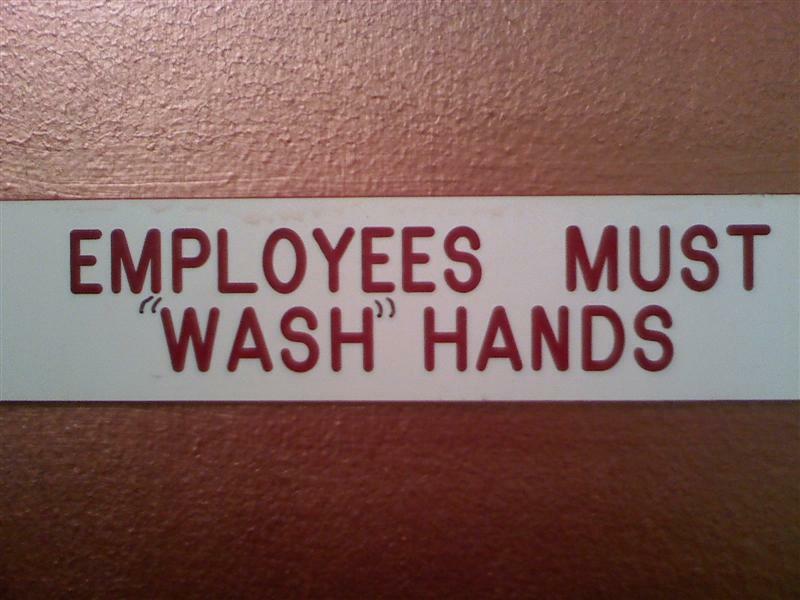 Umm…I’m really hoping they do more than “wash” their hands. I found this gem on the bathroom door of local taco stand mecca, The Taco Bus. Clearly, someone having a little “fun” at the restaurant’s expense. Kidding aside, it’s an amazing place with the most irresistible tacos on the planet. I usually get mine with conchinita pibil – a kind of delicious marinated pork. If in the area – be sure to give it a try!